This week’s show is a special tribute show in memory of the great Dr. Martin Luther King Jr. We get started in a roots foundation with Jack Ruby and the Black Disciples, taking us right into the Persuasion’s beautiful accapella “Buffalo Soldier”. Other roots artists featured on the show this week include Justin Hinds & The Dominoes, Lacksley Castell, Mikey Ras Starr and Freddie McGregor, among others. New music this week comes from Mykal Rose, Duane Stephenson, Chezidek, and riding the Billie Jean Riddim we hear from Sizzla, Lutan Fyah, and Daddy Rings. Above all, we concentrate on keeping the show in line with the teachings of Dr. Martin Luther King Jr., and pay our respects to the man who did so much for us as a people. We coninue to do our best to follow in your footsteps, Martin. 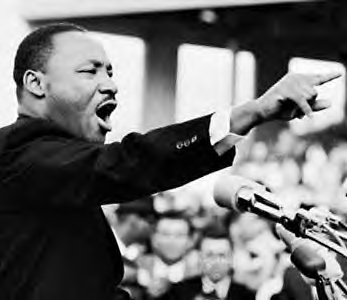 This entry was posted on January 16, 2011 at 5:09 pm and is filed under Downloads, Radio Shows with tags Martin Luther King, Martin Luther King Jr., MLK, MLK Radio, Rasta, Rastafari, Reggae, Reggae Radio, reggae radio vermont, Reggae Vermont. You can follow any responses to this entry through the RSS 2.0 feed. You can leave a response, or trackback from your own site.